Want to brighten someone’s day? We knew you would say yes! With same day delivery across Melbourne & Sydney, LVLY brings you more than just funky flowers, glamorous gifts and sweet treats. Defining LVLY is one simple purpose: to create happy surprises, along with big smiles and loads of fun. Born on opposite sides of the world, a hunger for new adventures and a passion for the creative industry saw two similar paths collide in 2011, when Hannah and Verity became colleagues in a Sydney based advertising agency. Fast forward 3 years, it was goodbye agency, hello LVLY. A close friendship, shared appreciation for the talent of Australian designers and a brief stint as house mates, lead to the launch of the ever so lovely, LVLY. Isn't it every girls dream to to business with their bestie? Their determination lies in supporting local producers and designers- placing a huge focus on sourcing close to home. Quickly expanding, they started out down South at pretty Prahran and have now headed North to inner city Sydney, where their cool colours stand out in the quirky burb of Alexandria. Insta worthy if you ask me! Blossoming with Hannah and Verity’s passion is Purely Polished. Over here at PP, we’ve teamed up to help enhance lovely experiences. 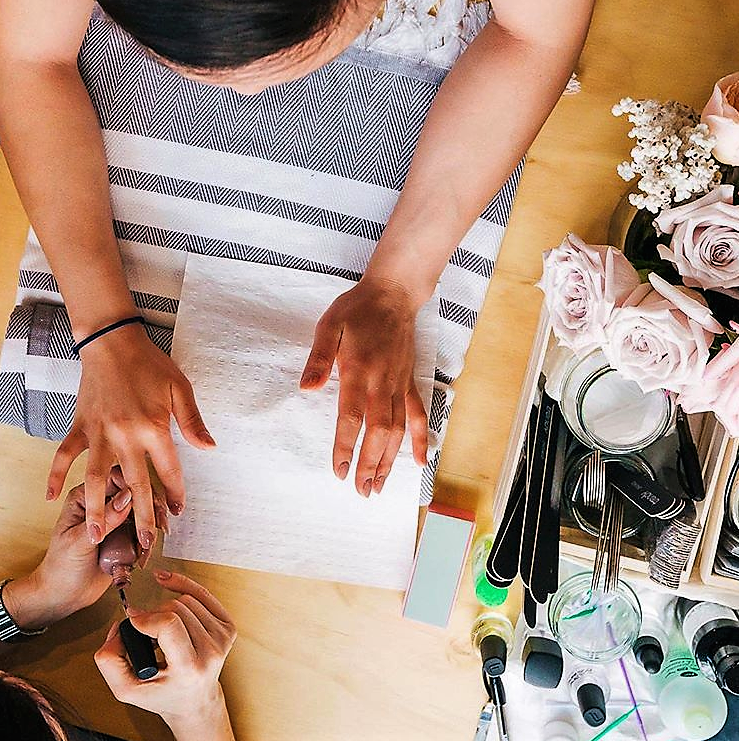 In the past, our partnership has involved delivering flower jars and express mani-pedis on all occasions. Whether it be a baby shower, Mother’s Day, birthday or a warm gesture- we’re all about those random acts of kindness! With thanks to @hello_lvly, there were a few happy campers after the recent pamper giveaway. 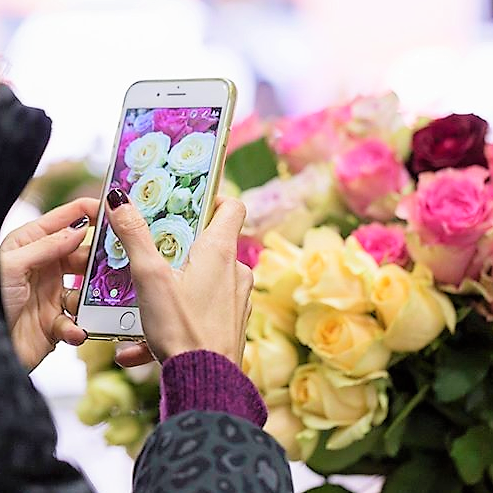 Delivering pops of colour, from polish to fresh and vibrant blooms, has never been more rewarding. A relaxing mani-pedi in the comfort of your home or office has certainly proven to be the perfect solution to peace and convenience. But, this time around PP want to help you fill that blank space on your work desk, your friends living room, or even the hole in their heart. Let us give you the chance to give a gift, to yourself or someone else, with the chance to win a LVLY treat. 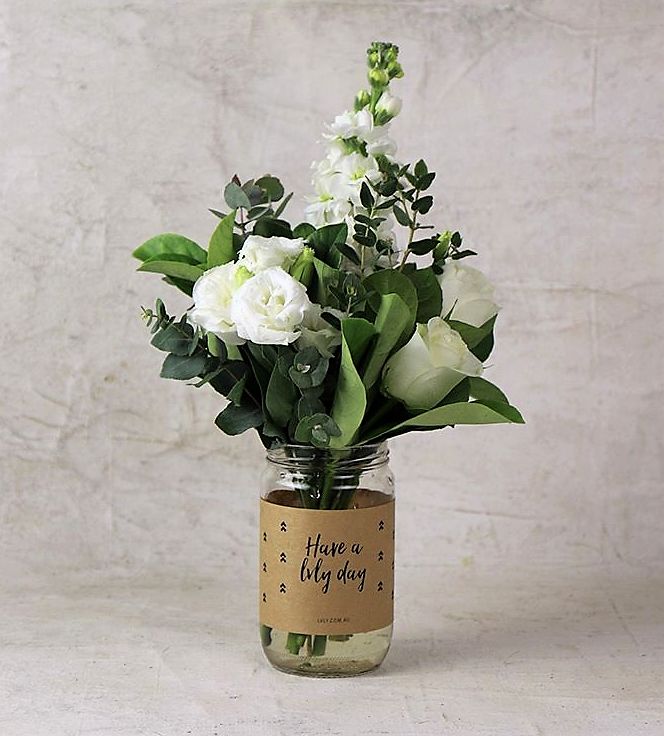 A freshly arranged posy in a trademark flower jar, this is the perfect way to celebrate the great days, the rough days and everything in between. Don’t make it about what you get, but what you have to give. While we love scoring brownie points, it’s even more fulfilling to put a smile on someone’s face-make sure you capture those priceless reactions. 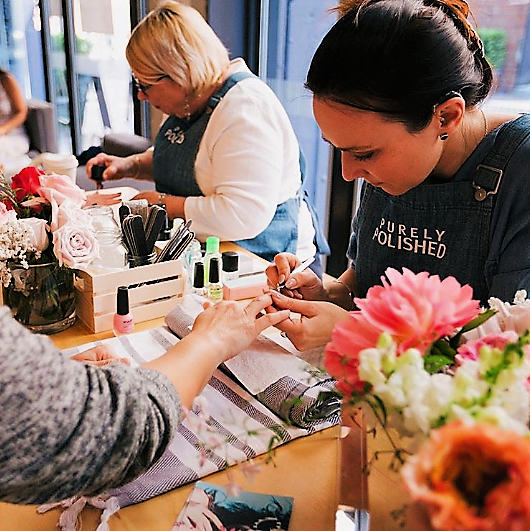 To do something lovely for that someone special, for competition deets or to simply enjoy browsing our feed, head over to @purelypolishedau. Don’t forget to share your experiences. Images sourced from @hello_lvly instagram, with thanks.